Join ZENEZ Newsletter and get an Exclusive Coupon! 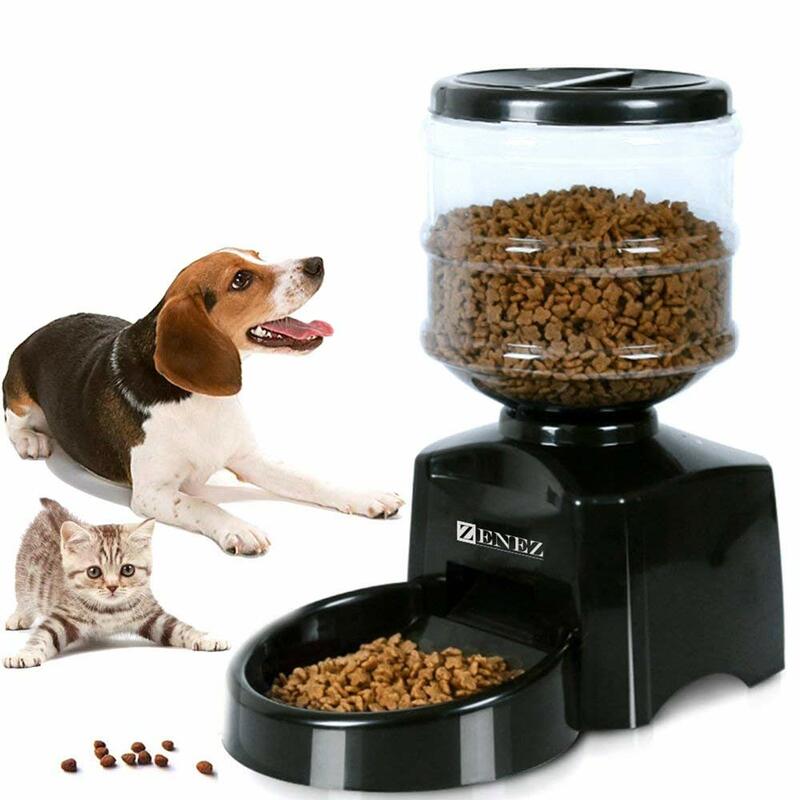 This pet food dispenser take care of your pets in healthy daily diets with programmable feeding time and amount, and keep your pets healthy, away from diseases.Please check the level of food frequently, make sure the feeder is dispensing properly. Programmable portion control (from 1 cup to 12 cups) and feeding schedule (1 to 3 times per day). Record your voice to remind your pets that it is time to eat. It can record voice messages about 10 seconds and play three times automatically. Mainly to let your pet eat on time. Environmental protection, resistance to impact and good heat resistance. Removable food tray, easy to clean. Automatic pet feeder with large LCD controller panel is simple to set and easy to read. The LCD controller panel displays the current time, meals programmed, meal size and meals served. Dry food pet cat feeder feed on time when you are away and then you can track and manage your pet's meal every day(regular quantitative three times). Set the time, the number of meals, time & weight of breakfast, time & weight of lunch, time & weight of dinner.